Leaving a life event untold in my own personal blog just didn’t feel right. This topic is one that will go against one of my blog rules. But to not write about it feels like it is an omission in my life. So just for once, I will talk about family beyond my kids and husband. My Low-Yeh (Father-In-Law) passed away a few weeks back. I’m not writing about why and how he died. But I’m writing about what he meant for me as his daughter-in-law. He was a proud grandfather, a wonderful husband, a great father to my husband and his siblings, and most importantly, for me, he was a good father-in-law. Most of our conversations were cordial, almost rehearsed since it is always as follows. Me: Fine, and they say hello too. Me: Anything Low-Yeh (Father-In-Law) . I’m fine with anything. My oldest son (9) took it very hard, and for me this is probably the first time I had someone that close to me that died. Watching the video at his Memorial Service about his life from his teen years, to his marriage up to the time he held each grandchild left us in more tears. My husband couldn’t bear to watch the video; he just kept his eyes closed. During the Eulogy, my son, the first grandchild of all 7 got up to read a poem. He knew he was speaking for his Yeh-Yeh (Grandpa) and although for days he has been lost for words but just filled with pain, grief, and tears, this time he stood tall and proud. Our hearts burst with pride while he resembles an adult at that very moment. He read it and he read it well. It was a poem about being free. It gave my husband comfort to hear the words of what his father could’ve been saying to us. And so I share that poem with you below. I hope that these words can bring comfort to those who had also lost a loved one. 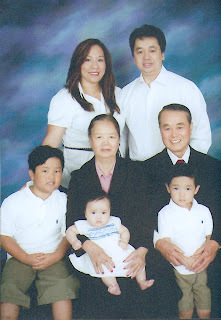 Low Yeh, you are terribly missed and I pray that you will be always be there to watch over your grandchildren. And as your son always says, see you again later and Doh Tse. This is very sweet, thank you for sharing MJ. I'm sorry for your family's loss. Your Low-Yeh I'm sure is honored and proud of having lived in such a way that would result in so much love for and fond memories of him, because in the end, when we think back at the purpose of our life, we find that what matters most is how we impact others and show them to love. Hi MJ, what a fantastic tribute to your Low-Yeh. The post and poem were truly moving. Thinking about you and your family. Oh, MJ this is beautiful. I am so sorry to hear of his passing. What a beautiful verse, so touching. What a beautiful poem mj! I'm sure both your father in law and my friend are in a better place... But it sure does hurt. Thnx for sharing that poem & post. I am so sorry for you & your families' loss. He sounded like a wonderful man, who raised a wonderful son ... your husband. Your son's poem was also a beautiful tribute to what a great grandfather he was, as was your post. What a beautiful poem. I'm so sorry for your family's loss.